As a professional separation and conveying equipments manufacturer in China, GN Separation & Conveying can design and produce decanter centrifuge, conveying equipments, transfer pumps and other separator. Screw conveyor and vacuum pump can be used to transfer the high solids content material, for example, the drilling cuttings, but the vacuum pump can be also used to transfer high viscosity material like oil sludge, oil contaminated soils, mining tailings, animal waste, dredging slurry, etc. The screw conveyor has 10 inch, 12 inch, 14 inch, 16 inch, 18 inch diameter for option, each section standard length is 12ft, we have 2 section, 3 section, 4 section with different length. We can provide fixed speed and variable frequency drive screw conveyor for different client. The U type screw conveyor with cover on top to prevent the fluids from spiling. Decanter centrifuge is one of our major equipments, we have used them for oil field solids control & drilling waste management, oil sludge separation successfully, also it is used for dewatering system, waste water treatment, dredging slurry separation, etc. The decanter centrifuge can be also as environmental & waste water decanter centrifuge, for mining and construction waste water treatment, chemical & pharma decanter centrifuge, food & beverage decanter centrifuge, edible oil decanter centrifuge. For more information, pls contact with GN solids control. 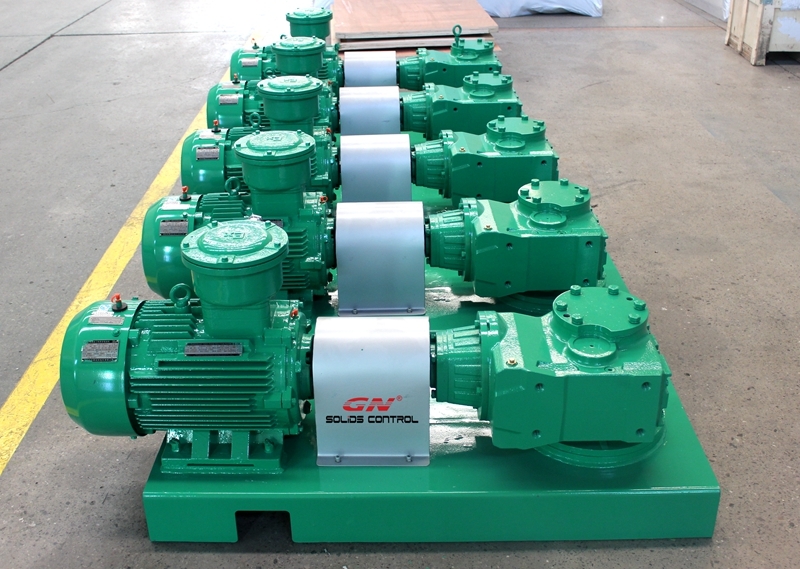 Centrifugal pump is one of the mud transfer pump produced by GN solids control, all the parts and installation dimension is interchangeable with world famous brand centrifugal pump. The centrifugal pump is widely used to transfer the drilling fluids, drilling waste, animal waste, oil contaminated sludge, dredging slurry, also it can be used as mixing pump, super charging pump. Screw pump is the ideal feeding pump of the decanter centrifuge, based on the material to be transferred, we will choose different fluids touch parts for the users. 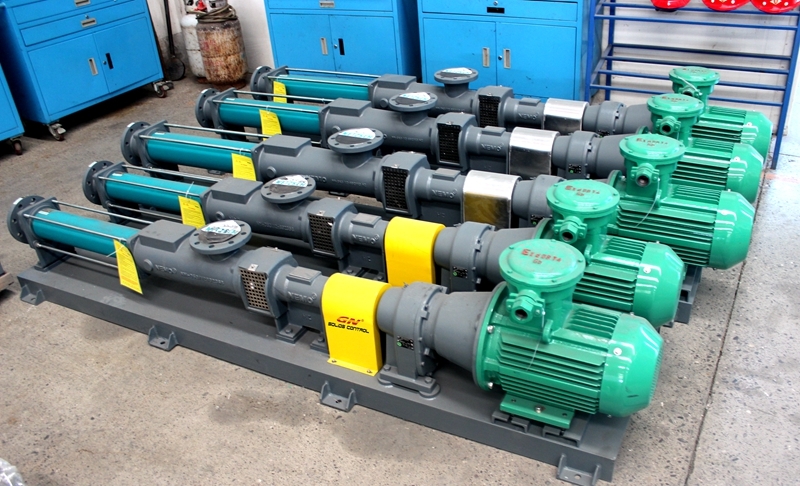 We use Germany made Netzsch brand screw pump to promise the reliable performance. Except for centrifugal pump, the mud transfer pump also includes screw pump, submersible slurry pump, sludge vacuum pump. The sludge vacuum pump is 100% air operation pump, and do not need the electricity power, it is convenient for the jobsite where the electricity supply is limited. 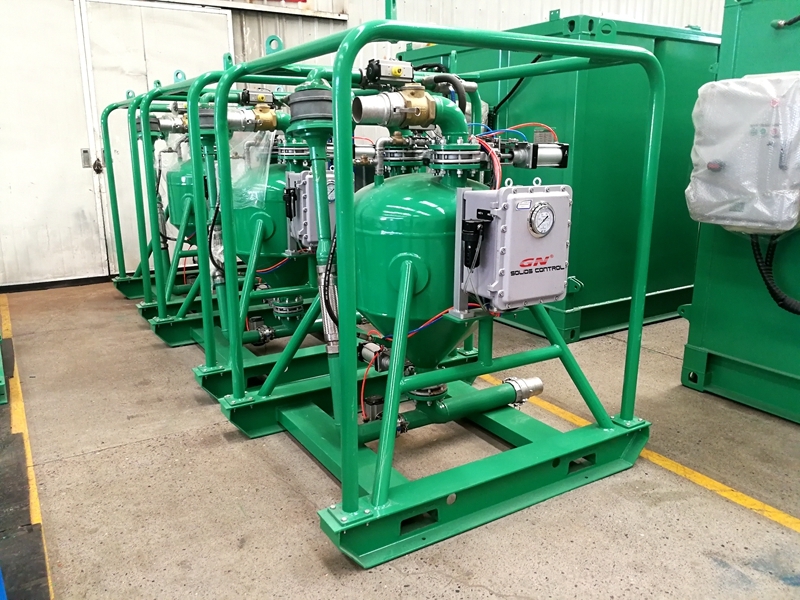 The air compressor is required for the vacuum pump air supply, if required by the client, we can supply the air compressor suitable for the vacuum pump and design the skid mounted package for convenient movement. 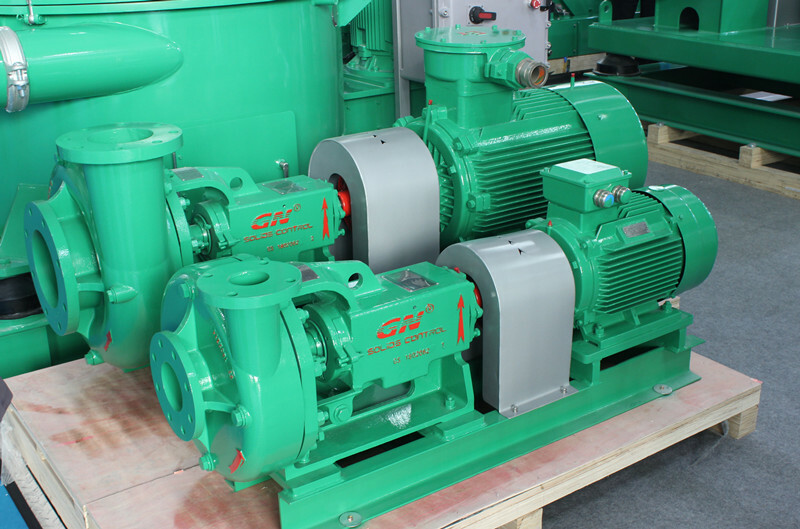 We have GNSP-40B, GNSP-20B, GNSP-10B vacuum pump with flow rate 40m3/h, 20m3/h, 10m3/h for option with the necessary pipeline connections. Mud agitator is one of the most important equipments for mud tank, the proper model mud agitator can agitate the drilling mud and prevent it from accumulation in the tank bottom. The tank bottom type mud gun is also required by working together with mud agitator. 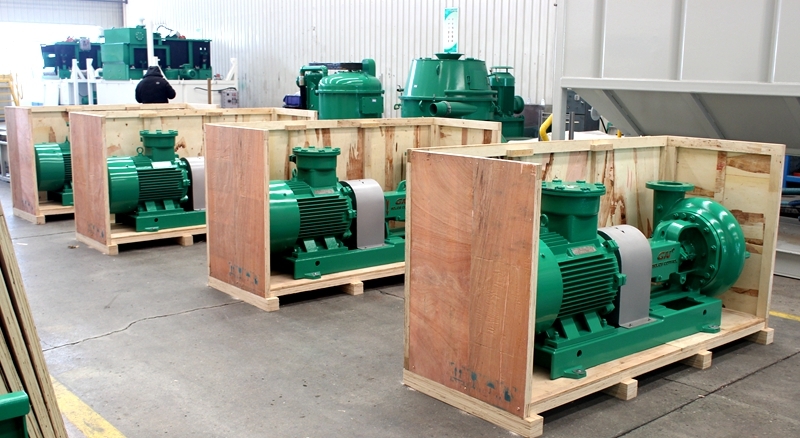 This week GN solids control shipped 56 units of mud agitator and 3 units of vacuum pumps shipped to China client. Mud agitator is one of the major equipments for mud tank system, it also works together with mud gun. There are 2 types mud agitators, horizontal and vertical installed mud agitator. Most of the mud agitator is horizontal type mud agitator for oil and gas drilling mud tank system, there are also 2 types horizontal mud agitator, one is direct connection type mud agitator, the gear box and explosion proof motor is installed directly; the other one is coupling connection type mud agitator, the gear box and explosion proof motor is installed through the coupler on the skid. The mud agitator is installed on the mud tank for agitating the drilling mud and prevent it from silting. The vacuum pump is used to transfer the drilling cuttings, solids waste, oil sludge, dredging slurry, hazardous waste, oil contaminated soils, etc waste. The vacuum pump is operated by air, no need electricity power. There are automatically operation and manually operation for option, the user need to get the vacuum pump ready before commissioning. 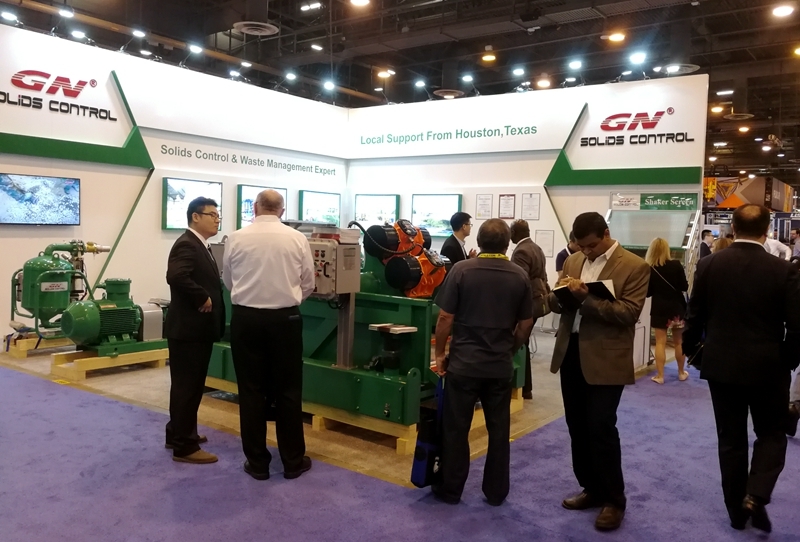 GN solids control will participate in Global Petroleum Show 2018 (GPS) in Calgary, Canada, this is not the first time for GN to participate In this oil show, this is the 3rd time of our participation. We got valuable clients during the oil show period. 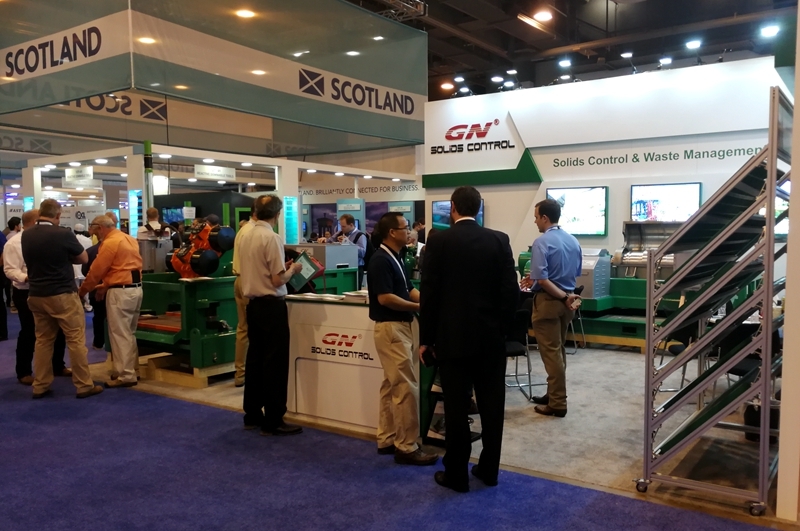 GN will show our new technology and the most popular products in the oil exhibiton GPS. 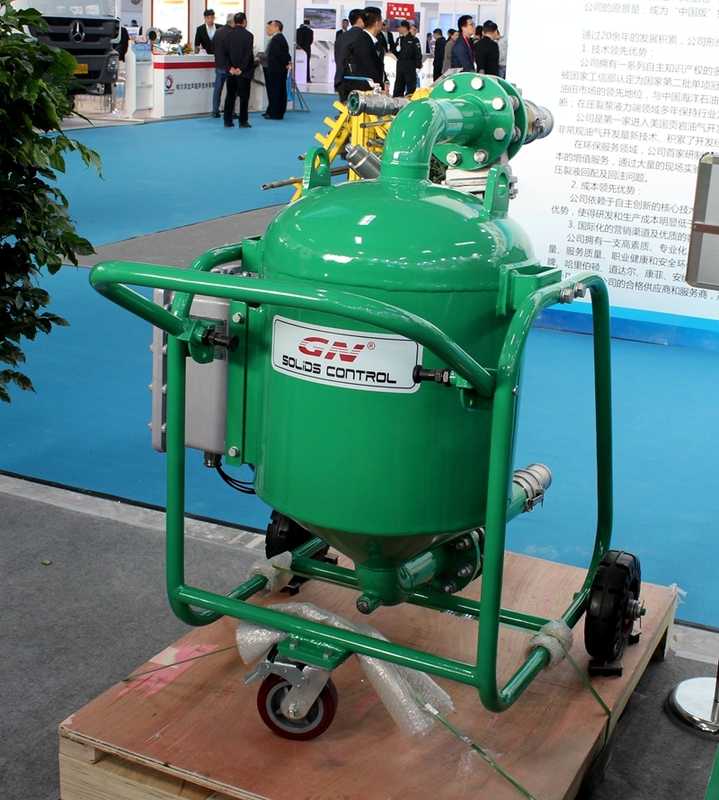 1) Slurry vacuum pump , this is the new products since last year, it is used widely to transfer all kinds of waste, like oil sludge, waste oil, drilling cuttings, dredging slurry, hazardous waste, oil contaminated solids, etc. 2) Composite material frame shaker screens , GN produce composite material shaker screens for world famous brand shale shaker, like SWACO MONGOOSE, Brandt King Cobra and Venom, VSM 300 primary layer, second layer, FSI all series shale shaker, Kemtron all series shale shaker, Derrick shale shaker screens, etc. 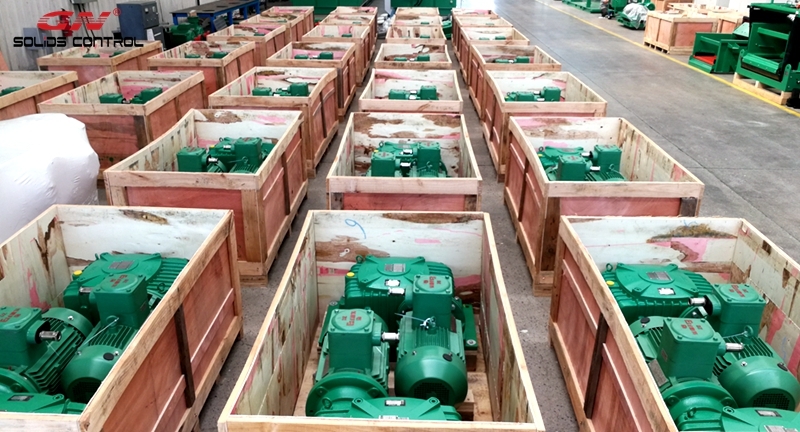 3) Centrifugal pump, GN C version centrifugal pump is 100% interchangeable with world famous brand centrifugal pump, we also provide replacement parts for other brand centrifugal pump, welcome to send us part number to get the price list. 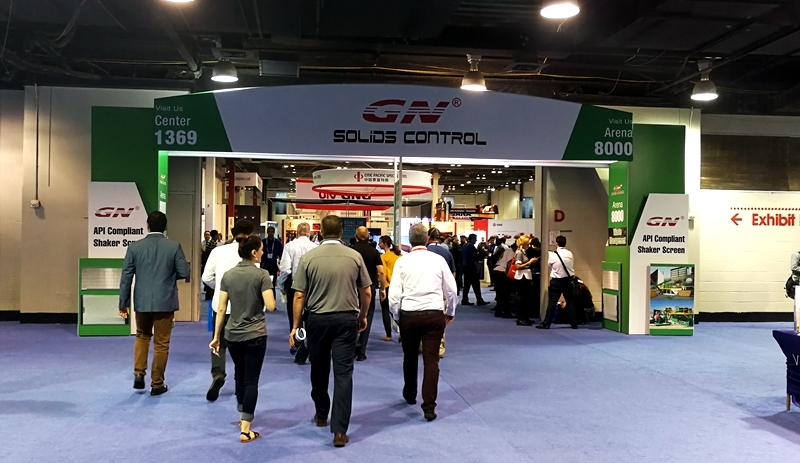 8000 in Arena Hall for GN Solids America. 1 Sludge Vacuum pump, it can be widely used to transfer oil sludge, waste oil, drilling cuttings waste, dredging slurry, contaminated solids and all kinds of waste. It operates with air compressor, do not need electric motor drived. 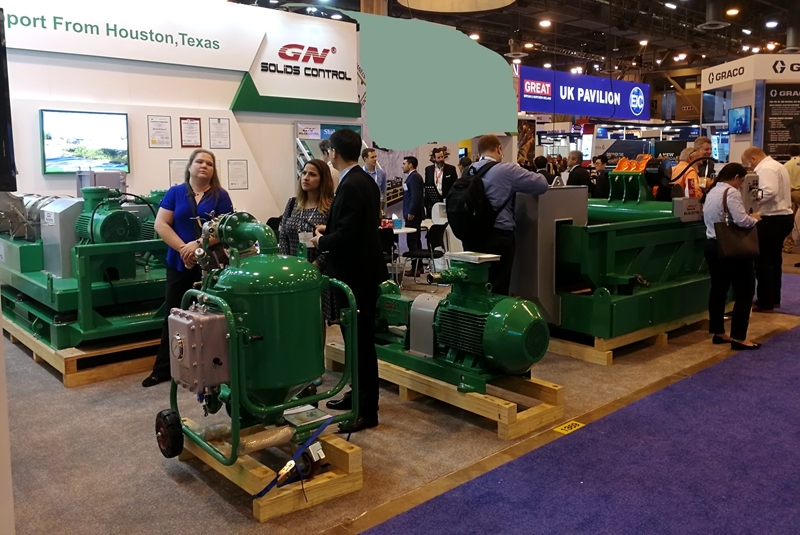 GN solids control owns 3 models for option, GNSP-40A with 40m3/h treating capacity, GNSP-10A with 10m3/h flow rate, GNSP-20A with 20m3/h rate. The operation method could be automatically or manually for option. We have customized solution to help our clients to take out the oil sludge from the deep oil tank in refinery. 2 Centrifugal pump and spare parts, which is interchangeable with world famous brand centrifugal pump and the spare parts are all interchangeable. All of the pumps are mechanical seal centrifugal pump, the pump cover and impeller material are both anti- corrosion material. 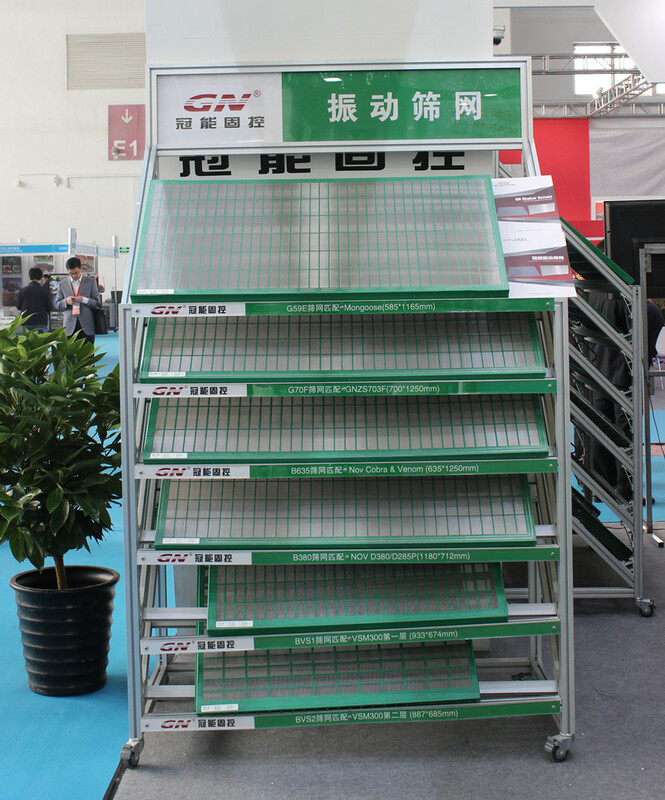 3 composite material frame shaker screens, as the replacement shaker screens for all the major brand shale shakers in the world, the effective screen area is 10% ~ 20% larger than the traditional steel frame shaker screens, the working life is much longer than previous design. We sold thousands of such screens in USA every month. What equipments we will show? GN equipments have been widely used for environmental protection applications, as waste water treatment with chemical dosing system, oil sludge separation system for refinery oil tank bottom cleaning, contaminated soil washing and waste transfer, etc. The high speed decanter centrifuge separation cut point is 2 ~5 microns, GNLW363CG decanter centrifuge rotary speed is up to 3900rpm, it can separate the particles till 1 microns, working together with flocculation unit, it can separate most of the fine solids in the waste water and reuse the water to save cost, and reduce the burden of waste recovery. Air required: 8m3/min, need air compressor to provide air for the vacuum pump operation, we suggest to use electric drive VFD air compressor or diesel drive air compressor. 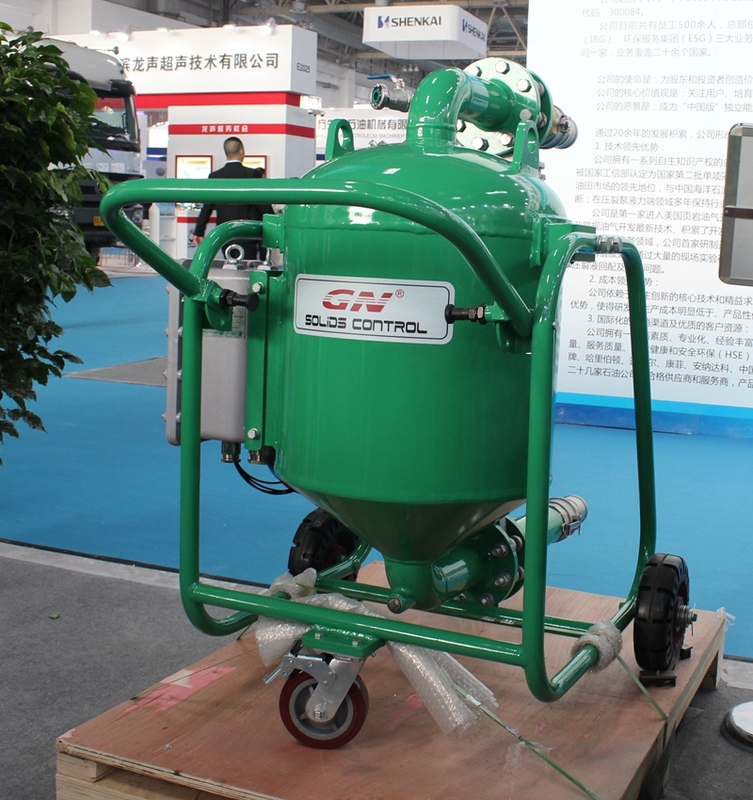 For more technical specs, pls contact with GN solids control . 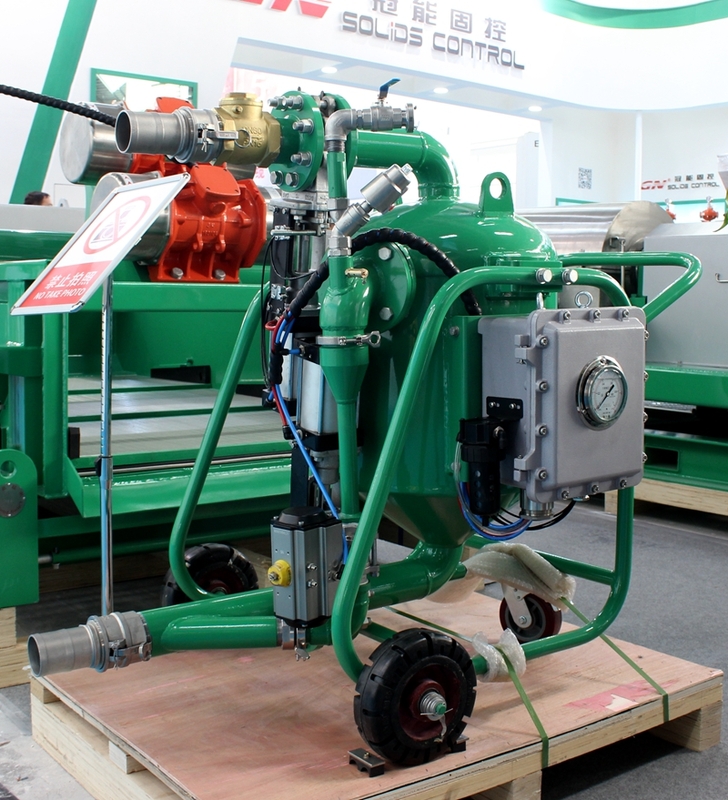 The benefit of the mobile vacuum pump including: convenient operation, convenient movement, compact design. 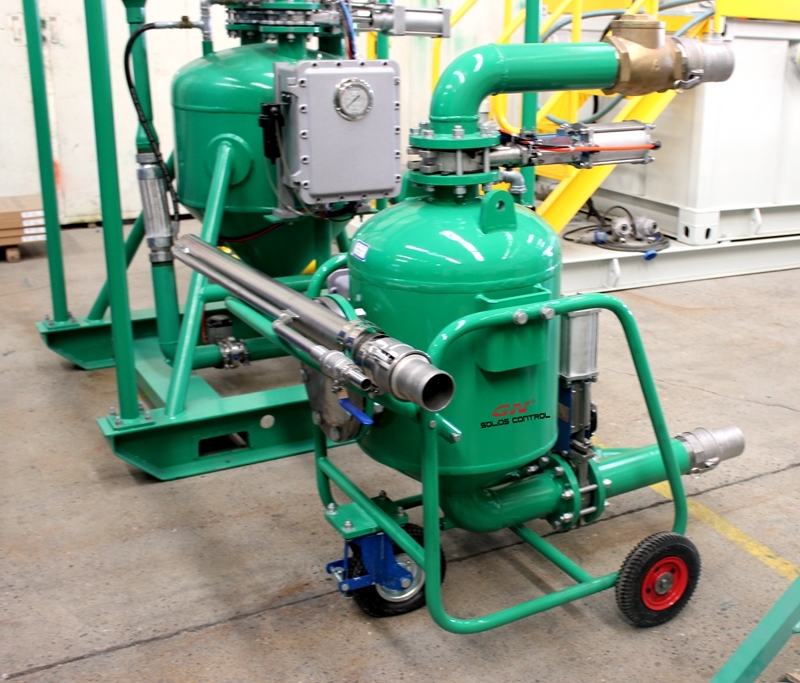 The application of the vacuum pump: It can be used as transfer pump of oil sludge, dredging slurry, drilling cuttings, hazardous waste, drilling mud, industrial waste, etc. It can be used for both onshore and offshore application, suitable for zone 1 and zone 2 application, and we can make it fixed or mobile for option.